After viewing the latest James Bond film, Lucy, Mr. Mooney, and the Countess let their imaginations go wild. At dinner they encounter a suspicious-looking man at a nearby table and believe he is an enemy spy. Our heroes scheme to trap the seeming spy, only later to find the shoe is actually on the other foot. They set a trap for the operative, unaware he's an Army Intelligence agent who thinks they're spies. 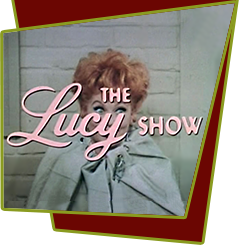 Their scheme to meet "Him", the enemy leader, involves Lucy pretending to be Carol Channing.